Sometimes technology leaps so far ahead it seems like the future has arrived a few years early. When the improvement comes in the area of materials the leap can seem even greater, as the new material can boost the performance of whatever they’re used in. 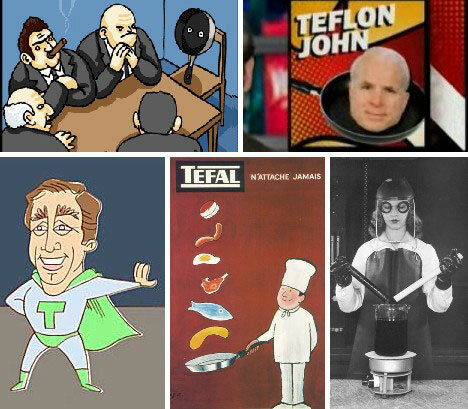 Teflon is a perfect example but it’s not the only one – here are 10 “teflons” that are adding some tomorrow to our lives today. DuPont’s miracle coating, Teflon, burst onto the post-war scene accompanied by a media campaign that extolled its futuristic non-stick properties and hinted at so much more. Teflon: is there anything it can’t do? The buzz on Teflon may have worn off but it holds its place as one of the first futuristic materials, as well as becoming a new descriptive term for running backs, politicians and the odd mafiosi. Thin is in when it comes to superconductors, no apologies to Toscanini. The thinner an electrical conductor is, the more readily it can shed heat – a crucial factor for materials that lose their superconductive state if heated above a certain temperature. Thinness also enhances flexibility making thin, superconducting films essential components of dozens of advanced tech products. 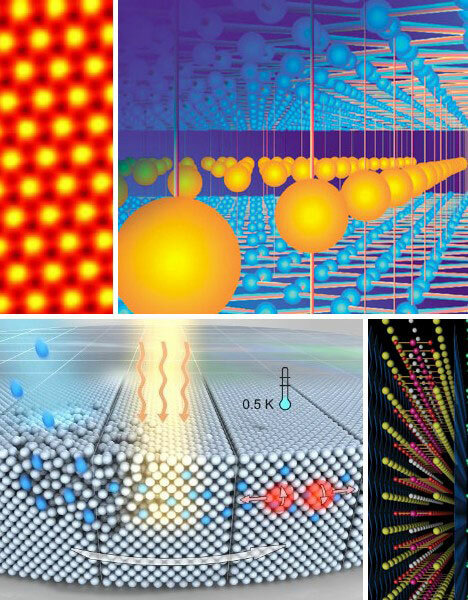 Once considered the material of the future, practical ultrathin superconductors are just beginning to arrive on the high-tech scene. 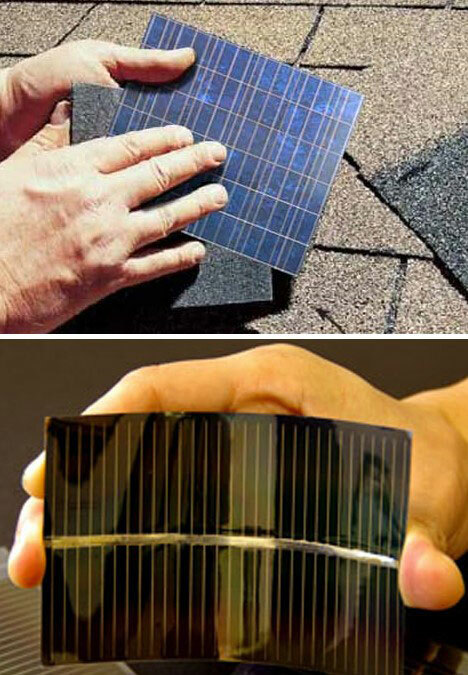 I’ve always wondered why people didn’t shingle their roofs with solar panels; wonder no longer, solar shingles are here! Well, just about here – they’re in the testing stage. Even so, it’s about time. As a spokesman for the DOE’s Pacific Northwest National Laboratory puts it, “Flexible solar panels could easily become integrated into the architecture of commercial buildings and homes.” Cool dude, now wipe the slate clean and let’s get shinglin’! 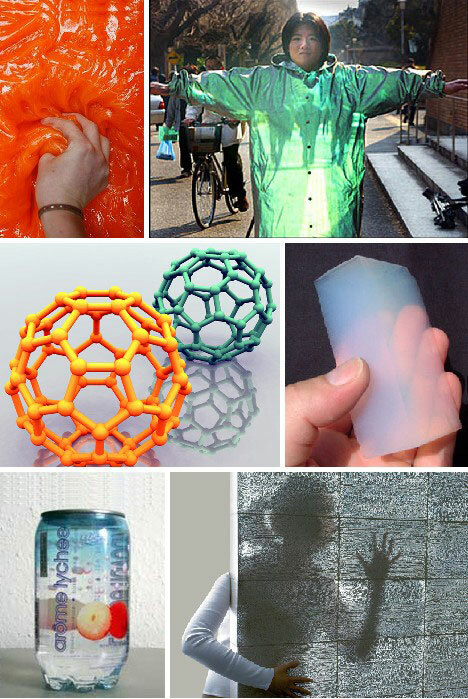 A revolutionary new energy-absorbing gel called d3O is already making its way into clothing, shoes and military equipment. 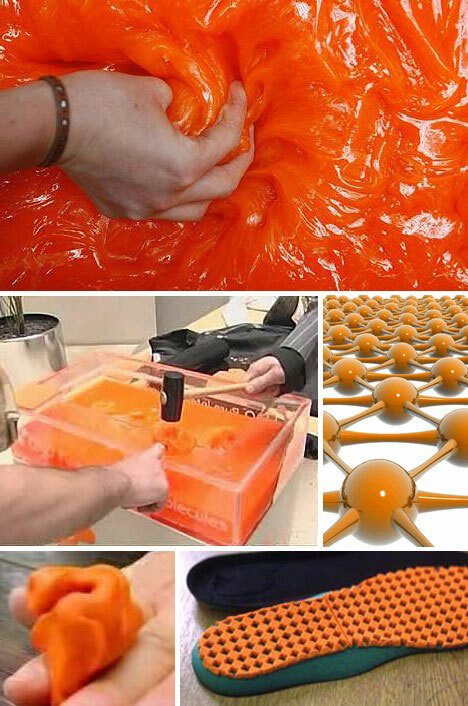 The orange, putty-like gel is soft and malleable when kneaded by hand, but a sharp strike will cause it’s molecules to lock up in mere thousandths of a second. The U.S. ski team uses d3O pads in its ski suits – hitting a gate at 60mph+ is no pleasure but d3O takes the sting out of the slap. Here are a couple of videos explaining the how & why of d3O. The first is from the Discovery Channel Australia and the second is in Japanese, but well worth watching if you like seeing professors being slammed on the elbow repeatedly with a shovel. And really, who DOESN’T like that? Carbon – is there anything it can’t do? Diamonds, buckyballs, nanotubes and carbon fiber have demonstrated the power and glory of The Sixth Element. Now graphene, a new variation of the sooty base of organic chemistry is extending the power of carbon in yet another useful and unique direction. Graphene is elemental carbon with a twist: sheets of it are just a single atom thick, making them virtually transparent. 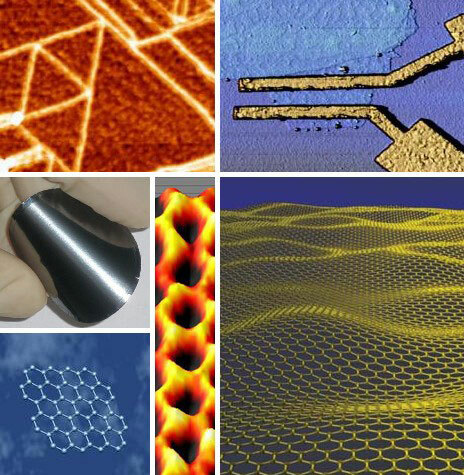 Graphene may one day supplant both silicon chips and copper connectors in most computer applications but its true potential lies in quantum-based electronic devices that will someday make our computers look like primitive, steam-powered hulks. Stronger than diamonds, so-called “buckyballs” are molecules made up of from 60 to 100 carbon atoms arranged in a hollow, circular format similar to a geodesic dome. hence their name, which is a tribute to the late architectural visionary Buckminster Fuller. 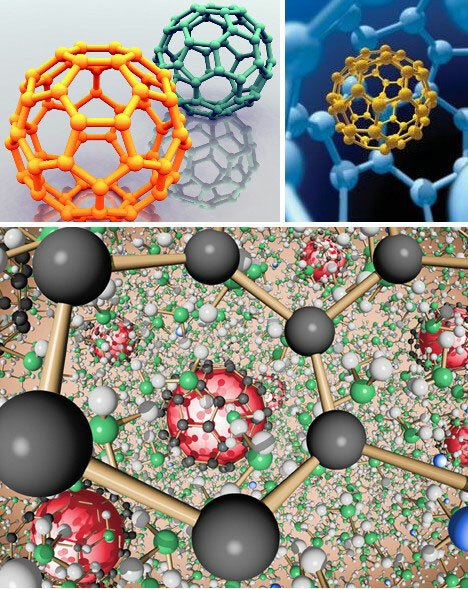 Scientists have been able to insert other atoms into buckyballs, in effect using them as carriers. With further research it may be possible to deliver nano-scale doses of powerful drugs directly to tumors within the body. Well, more like a cloak of silence than the troublesome Cone of Silence used by Maxwell Smart and The Chief. Remember when a bee got into it? Good times! 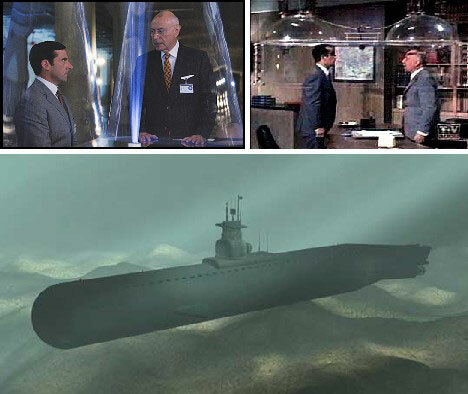 Anyway, submarines need to be as quiet as possible – it’s the “silent” part of Run Silent, Run Deep. A new sound-insulating material developed by a Nicholas Fang, a professor at the University of Illinois at Urbana Champaign with a seriously scary sci-fi name, can bend acoustic waves around a sub thus making it invisible to enemy sonar. Nice work, Doctor Fang (cue evil “bwa-ha-ha” laugh here). Can You See This Can? Drinking cola from a see-through can? Wrapping your pot roast in clear tinfoil? It’s more likely than you think… well, it will be when the current $10 per square inch price of transparent aluminum comes down a little. Aluminum oxide is the main component of rubies and sapphires, and engineers have found a way to combine the great hardness of these gemstones – along with their semi-transparency – into a material with the light weight and convenient ductility of metallic aluminum. 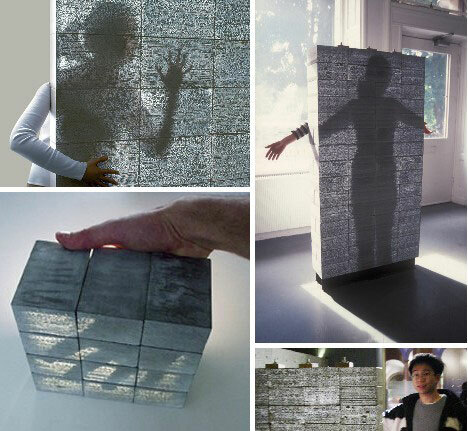 LiTraCon, based in Aachen, Germany, has developed an unusual light-transmitting concrete. It’s not transparent by any means but it does transmit light from one side of the block to the other through hundreds of embedded glass optical fibers. The use of the fibers means that even a wall 60 feet thick allow the same luminescence as one just 1 foot thick. Now that’s thinking outside the block! It may sound like something Robin Hood might have applied to his bow before a run-in with the Sheriff but aerogel couldn’t be more futuristic. Known mostly for its use in gently catching particles ejected from Comet Wild 2, aerogel is a sort of foamy glass. 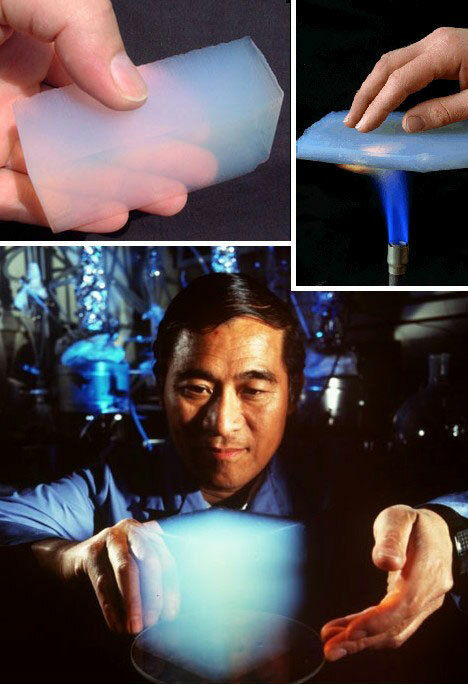 Both are silicon-based solids yet aerogel is only 0.02 percent solid by volume – the rest is empty space! 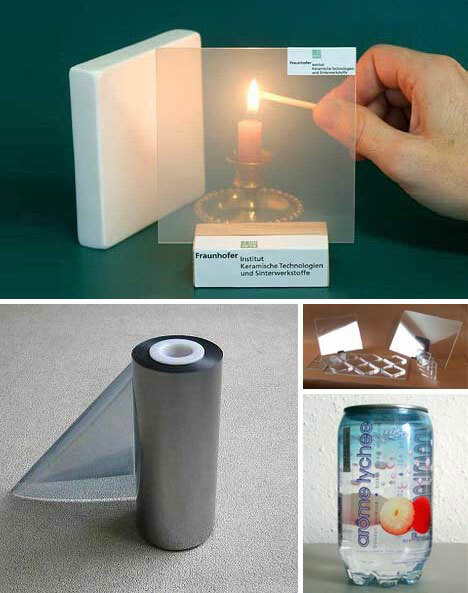 Weighing just 3 times as much as air, aerogel has earned itself the nickname “frozen smoke” and among its many claims to fame are 15 entries in the Guinness Book of World Records. 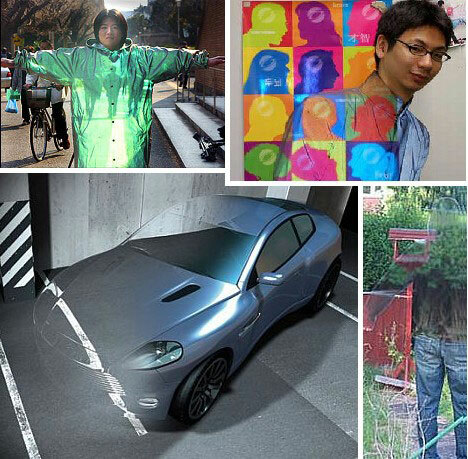 All in all, these futuristic materials are making our world more and more like a sci-fi flick – not a bad thing, most might say. Odds are though, these fantastic substances won’t hold a candle to what’s on the drawing board, and when materialism meets futurism, cool things happen!